The Discovery from TEBCO is a step through 26″ wheel electric bike that is quite possibly the most popular in Australia. The reason is that is suits so many people and is a joy to ride. 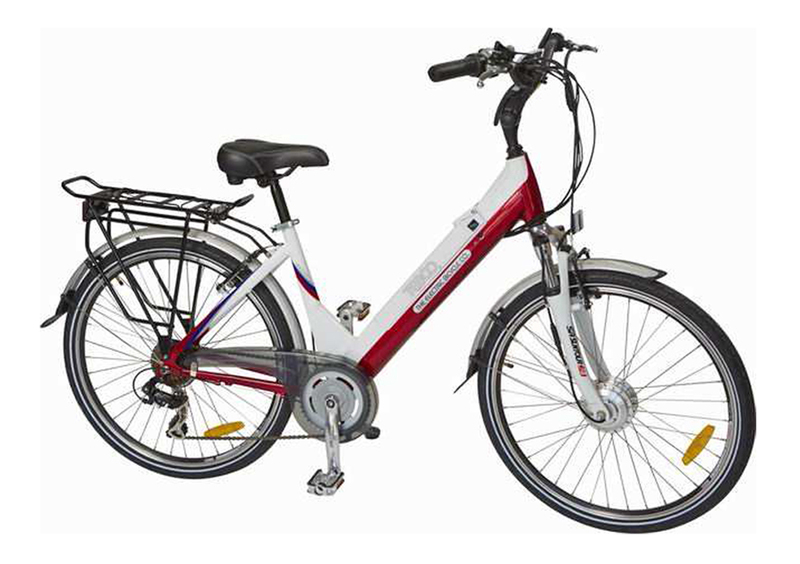 With the battery integrated into the frame, both throttle and pedal assist control, simple running gear and basic commuting essentials this is truly an ebike that fits the needs of a great many people. The stem is quickly and easily adjustable into many positions so it’s simple to find a comfortable riding geometry and the handling with the 26″ rims is superb. It’s not by any means a high performance machine but it is a simple and extremely reliable electric bicycle with a little more power than you generally find out there. It’s well worth a quick ride on this as it will quite likely fit your needs. Please visit the TEBCO site for more information on this model.